Rick Myers booked us ages agofor this wonderful 50th Anniversary Dinner for Autism Together & despite Friday traffic we all were ready to go very early on. Lovely people. Brilliant cause–and they liked classical music too ! Mind you Gabriel’s Oboe and Bohemian Rhapsody seemed well received too, Look forward to hearing how much was made on the nite. 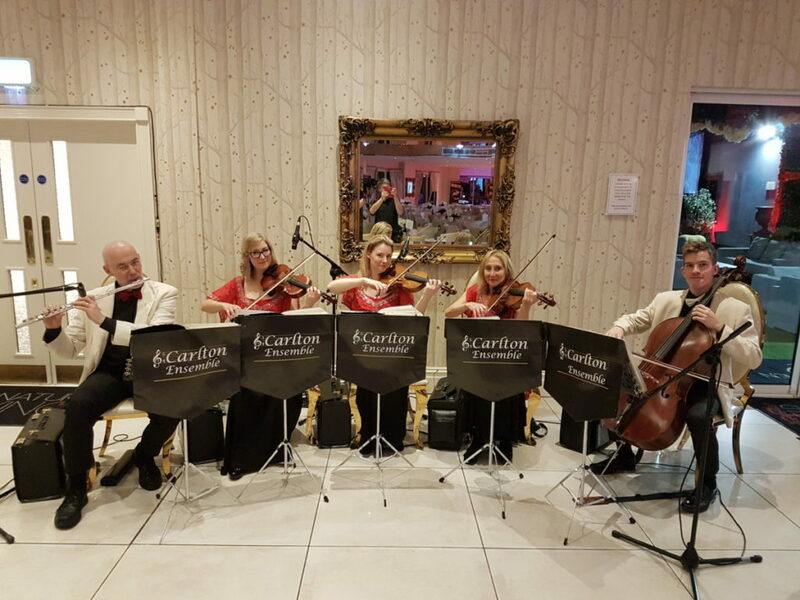 The Carlton Ensemble performed at our 50th Anniversary Ball at the Shankly Hotel in Liverpool. They were extremely professional and extremely good! The flute adds another dimension to the music and makes them stand out from other string quartets. Their repertoire is comprehensive and covers everything from modern to classical. The group dressed to suit our colour theme, red and gold, and were happy to take requests from the guests. Many of the guests made a point of telling me how much they enjoyed the performance, I am would definitely book them again for a similar event and I can happily recommend them with absolute confidence.